Hello my friends! 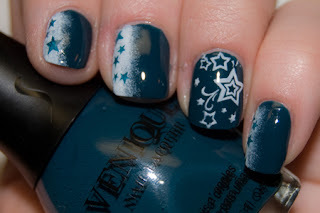 I've been asked a few times here, and a couple other places for a tutorial to this awesome mani. I'm finally delivering!!! 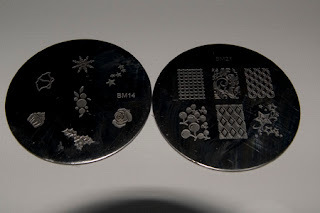 It's super simple, and easy to recreate with any stamping design or colors! The colors!!! 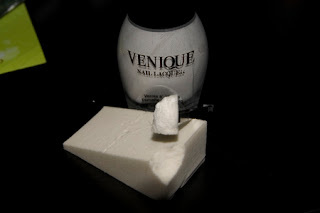 Venique Wingtip White is my FAVORITE white for stamping/gradient. Peep Toe Shoe is this all around amazing color I can't get enough of! Start with 2 coats of Peep Toe Shoe. Use tweezers! Sponge on some Wingtip White. If you tip the sponge a bit so that its not so full of polish, the color breaks up better giving the frosty look! Little flecks of sponge may be leftover. They go away just fine under Seche Vite, or you can pick them out and touch up the white! Bunder Monster plates 14 and 21 are used for this design! Stamp that on!!! So messy!! After a clean up and top coat. The final product! Stamp the accent however you'd like! Mix it up and put white as the base with blue stars, just have fun!!! Here is a condensed tutorial for your pinning/sharing pleasure!! Thanks so much for being interested in my design! It's been one of my favorites so far, and is perfect for the cold weather coming up! And for those of you still reading, you will be please to know of the flash giveaway that is happening...right now!! All you have to do is comment! Usually these things are a sneaky giveaway, but I've been getting so few comments, I have to tell you about it! In order for the contest to work, I will need at least 25 comments from 25 different followers! However, you must be a follower to enter! Commenting more than once will NOT get you extra entries, but feel free if you so desire. This is open internationally! I need to get over my fear of shipping. =) The prize is fitting to this post: Venique Wingtip White and Peep Toe Shoe could be YOURS!! So get to sharing this with your friends! Gotta get those comments! 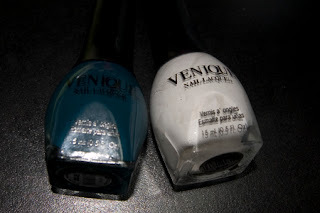 Giveaway ends Thursday September 27 at 12:00 PST! Like all my sneaky, not big text?? I love this! It's so cute and perfect for the cooler weather coming up! Looks great! 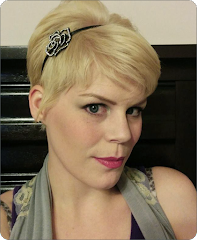 Found your blog from /r/RedditLaqueristas, that sub is helping me to find so many great sites! Sneaky, sneaky. I really like this frosted look. 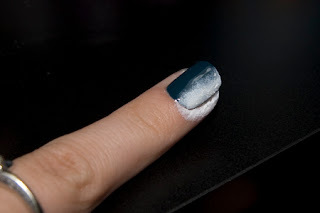 I'll have to keep that in mind for a winter manicure...maybe like frosted windows somehow? 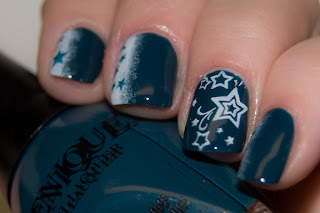 Too bad I don't have any Bundle Monster plates but I am sure I can find some stars on the 90+ Konad ones I have :)) Thank you, I was actually looking for some inspiration on what to put on my nails this weekend. You are sneaky indeed! 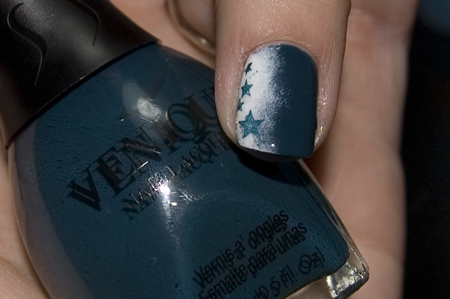 I agree that this is a great mani for the coming Fall season. 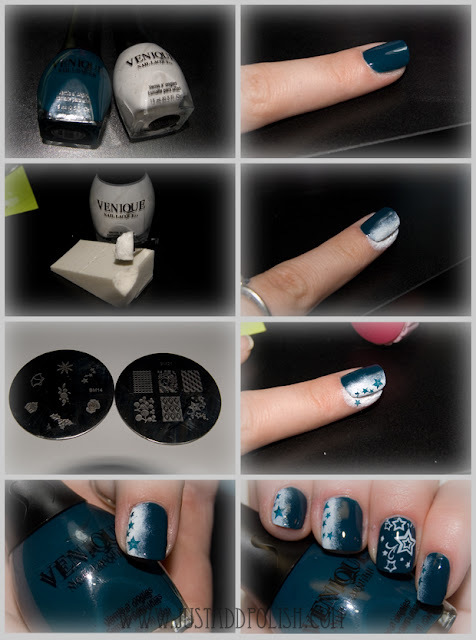 Very cute and thank you for the tutorial! Great manicure; I really love the colors! I really love this! 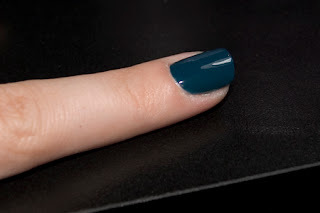 Teal is one of my fave polish colors.